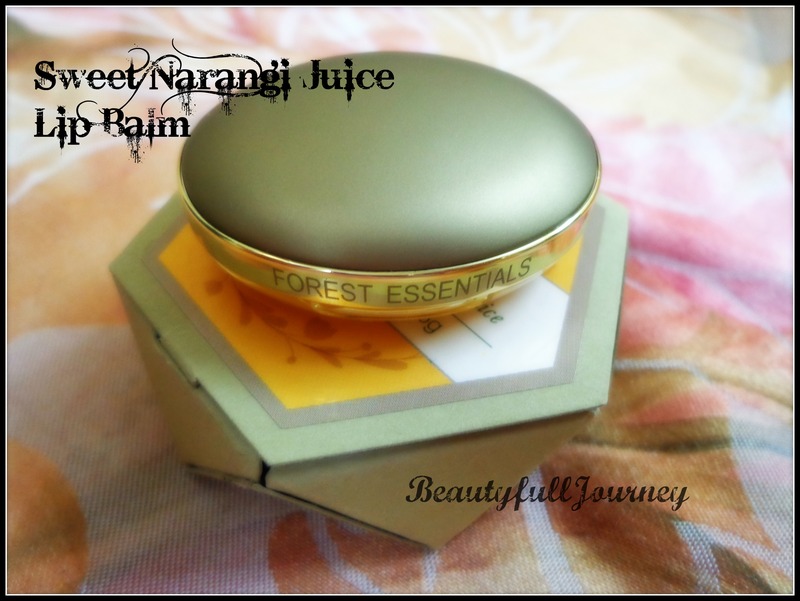 REVIEW: Forest Essentials Sweet Narangi Juice Lip Balm. Description: Moisturising Lip Balms made with Kokum butter which contains an abundance of healing ingredients including vitamins, minerals, proteins and a unique fatty acid profile. These fatty acids are indispensable for their emollient properties. Organic Beeswax deeply nourishes and restores elasticity to the skin Almond oil from sweet almonds is the most nutritious. Narangi is natural astringent, anti-oxidant, detoxifying. These lip balms seal in moisture, soothe dry lips, and leave them soft smooth and glossy. 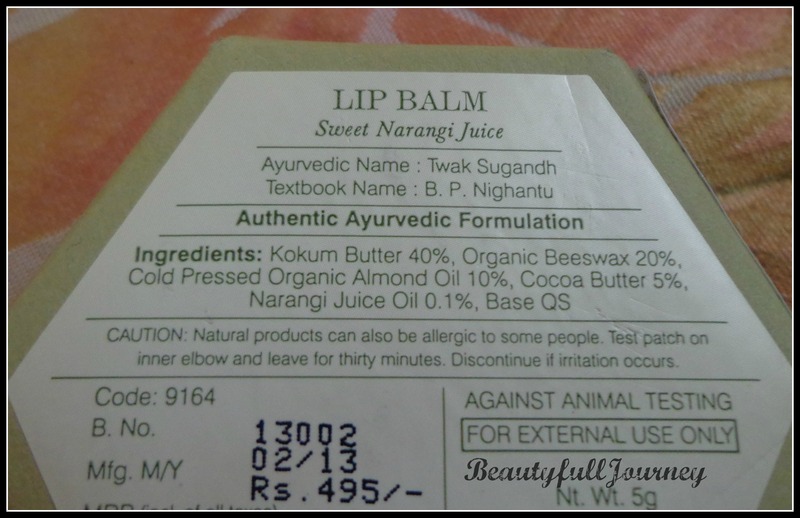 Product Benefits: Forest Essential Lip Balm (Sweet Narangi Juice) is uniquely designed to replenish and soften dry, chapped lips. Enriched with goodness of Natural Butters and Beeswax this balm gently heals and hydrate the lips. Free from synthetic chemicals and petroleum products this Lip Balm contains Narangi Juice and Almond oil to protect your lips. Due to its extraordinary moisturizing and hydrating properties it seals in moisture and soothes dry lips leaving them soft and glossy. Available at Forest Essentials stores. Okay, I confess, I am a little crazy when it comes to fancy packaging of products. I have bought way too many products only for their attractive packaging and when they turn out to be good in quality as well; life can’t get better, can it? 😀 But, did this lip balm in a pretty packaging turn out to be worth the slightly high price tag? Read on to know! 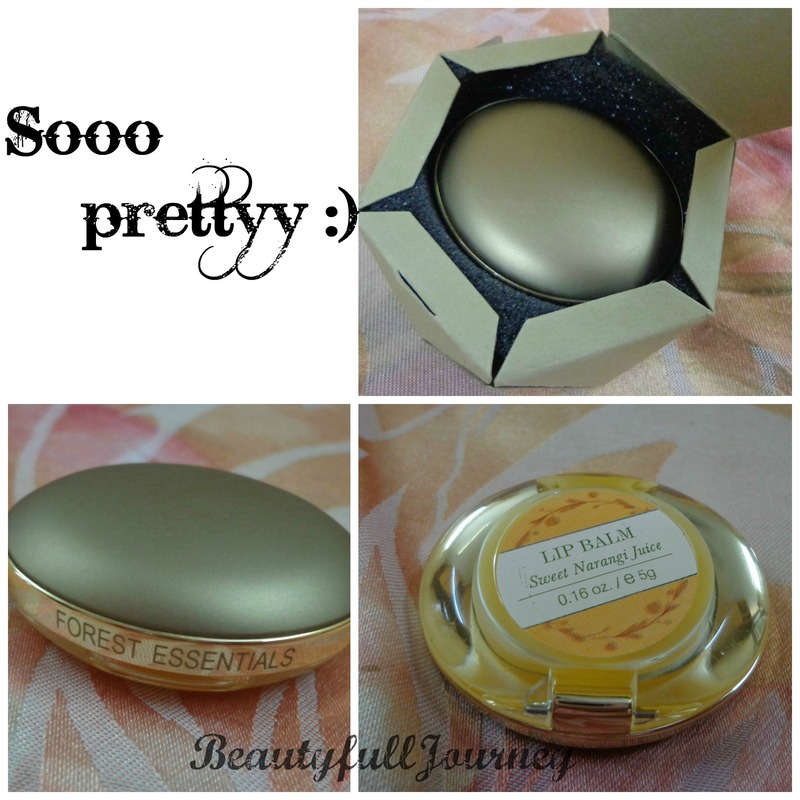 The Forest Essentials lip balm comes in a fancy packaging as I’ve already mentioned above. It comes in an outer carton which is rhombus shaped and inside it the lip balm is cutely nestled in a black sponge. The lip balm itself comes in a tiny case with a classy- vintageish golden cover. The base that holds the lip balm is transparent. And inside the cover, there’s a pretty little mirror! Aaah… how I love this tiny little thing!!! 😀 the case shuts tightly and is very travel friendly! It’s also small enough to fit in your jeans pocket or any handbag or clutch! But yes, a con with the packaging – you need to use your fingers to apply it! I don’t mind it but yes it can get unhygienic at times! 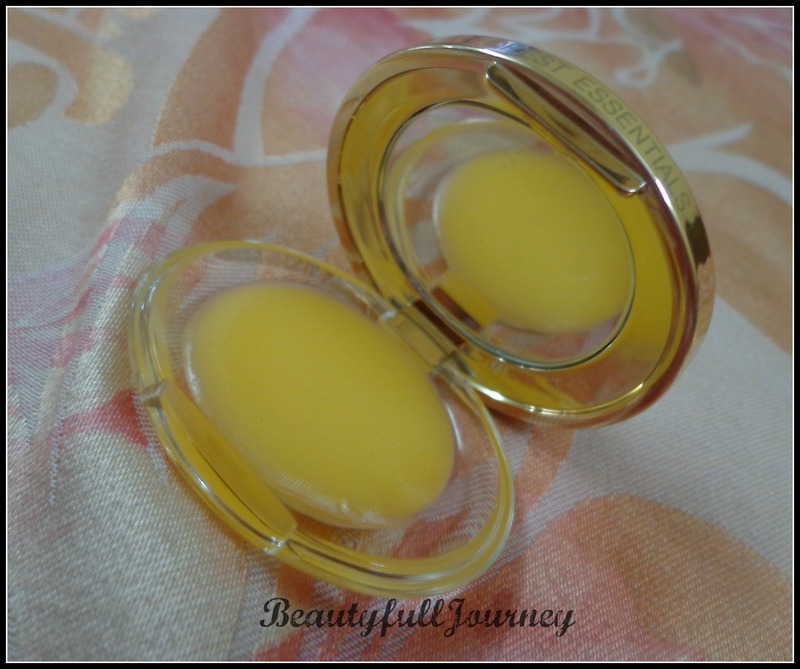 Talking about the texture of the lip balm, it’s the most light weight lip balm I’ve ever used. It just gets absorbed into lips instantly. I love how it doesn’t sit on lips; I find such lip balms very irritating that keep sitting on the lips for a long time! it’s something like an oil, but not sticky or oily, just an oil that gets immediately absorbed in your lips and makes them soft and look a little glossy! It moisturizes lips quite well but I would say it doesn’t heal chapped lips. Yes, I won’t say it’s the most moisturizing lip balm out there. But since I generally do not have super dry or chapped lips, I find this sufficient for myself. But you can find a better and heavier lip balm for sure! It makes lips feel soft and supple and healthy! 🙂 it also claims to work on pigmentation of lips but I do not have pigmented lips so can’t say anything about this! Also, please note that natural products take quite some time to work on things like this and you shouldn’t expect instant results with this! This lip balm comes in 4 flavours. All of them look slightly coloured in the pan but they all go on transparent as they’re just lip balms without any kindof tint. This is another thing I love 🙂 I love it for most days I only feel like applying a nourishing lip balm instead of the tints and glosses and tinted balms! After all lips need natural nourishment too after all the makeup we put on them!! The flavour that I have is Sweet Narangi Juice and I love the fragrance 🙂 I generally do like citrusy scents and this one is really natural-citrusy and also smells of some oil! I like it! But I don’t see everyone liking the fragrance! I am very happy with it but I don’t see myself repurchasing as I’ve got the fancy little case I wanted. I own better and more moisturizing lip balms! But I might buy a different variant (the rose one looks even prettier) some time later, just to try out that flavour and the fact that its natural! 4) Makes lips soft and healthy. 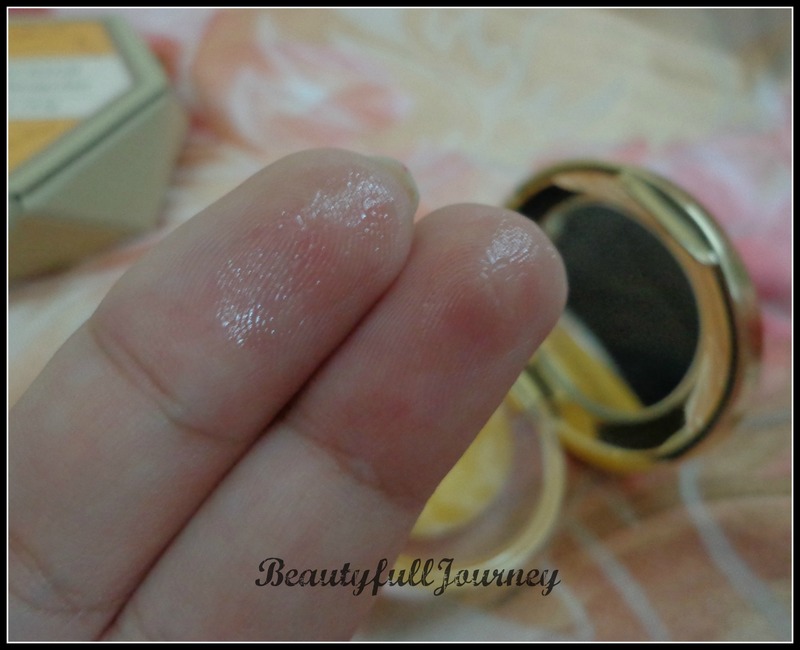 < Previous How to re-use your old gel eyeliner. wow! classy packaging! I might have bought it if it had some tint.